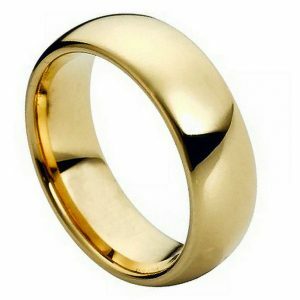 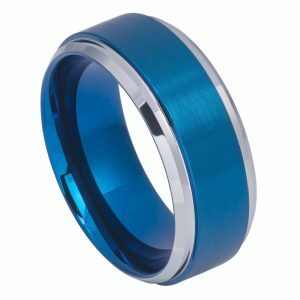 This tungsten carbide ring is a beautifully elegant option for a wedding band. 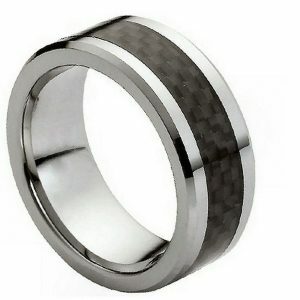 The matte brushed interior exists in perfect harmony with the shiny beveled steps on the outer border of the ring. 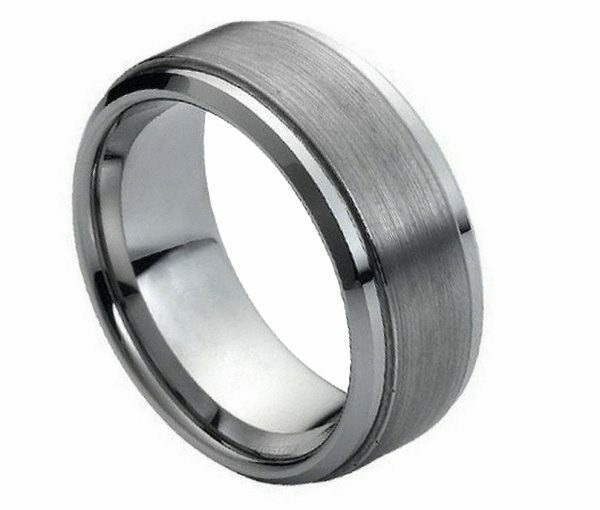 Never has a ring been such a perfect blend of industrial tones and polished sophistication. 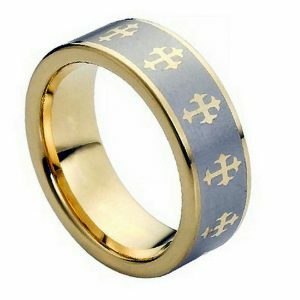 Chose this unique ring now for a perfect symbol of your love..